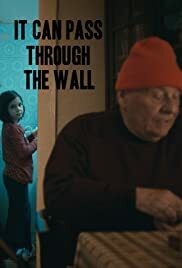 An old man tries to play backgammon with friends while babysitting his granddaughter, who's terrified of the young suicide in their building. A boy convinces his father to go into town and fix their TV. Delia, a young Romanian girl, drives to Bucharest with her parents to collect a prize she won in a contest. In a torrid summer day in Bucharest, the priest Florin Florescu is called to a dying woman's side for saying a prayer. Three men from a provincial town are in urgent need of money and decide to buy a lottery ticket. They win the lottery, but soon after their ticket gets stolen. Two characters discuss business in a restaurant. A film constructed using the opposition of what a huge collection of recently discovered glass-plate photographs from the 30's and 40's tell us about Romania and what they do not show.